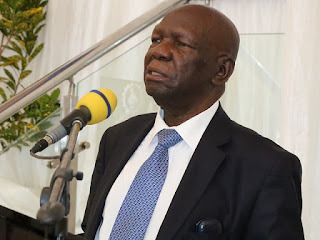 ZANU PF Matabeleland South province has requested national hero status for the late distinguished educationist and former National University of Science and Technology (Nust) vice-chancellor Phineas Makhurane. The academic died aged 79 on Saturday at Mater Dei Hospital in Bulawayo. He was diabetic. “All I can say is that we have submitted our recommendation to the politburo for the national hero status and honour on Makhurane,” Zanu PF Matabeleland South provincial chairperson Rabelani Choeni told NewsDay. “We now await the politburo decision. We are confident that the request will be granted,” he added. A senior Zanu PF official disclosed that the party was confident the decision-making body would confer the educationist with the national hero status. “It is a fact that Makhurane made significant contributions to the education sector, to Nust, specifically, as an institution. He was a respected academic and we are confident he will be laid to rest at the national shrine,” he said. Records show that Makhurane is one of the first Africans to study physics and mathematics at the then University of Rhodesia and Nyasaland now University of Zimbabwe. Makhurane was also appointed to serve on the Zimbabwe Schools Examination Council as board chairperson.